This dvd covers all the first 8 Basic Forms which you will require up to First Dan Black Belt for the syllabus of the IOA. Filmed by Dr Ali Khan of Black Swan Film & Video, himself a 3rd Dan Aikidoka with the participation of Philippe Willaume, John Kingsbury and Paul Scally, all high grade Aikidoka, this dvd is an invaluable source of reference for Aikido students of all grades. William Timms Sensei, 6th Dan, has been practising Aikido since 1971 and a member of the Institute of Aikido since 1973. During this time his studies were overseen by his father, David Timms Sensei. At the age of 16 he began training at The Hut Dojo under the tutelage of Haydn Foster Sensei, the Principal of the Institute of Aikido, who sadly passed away in 2011. 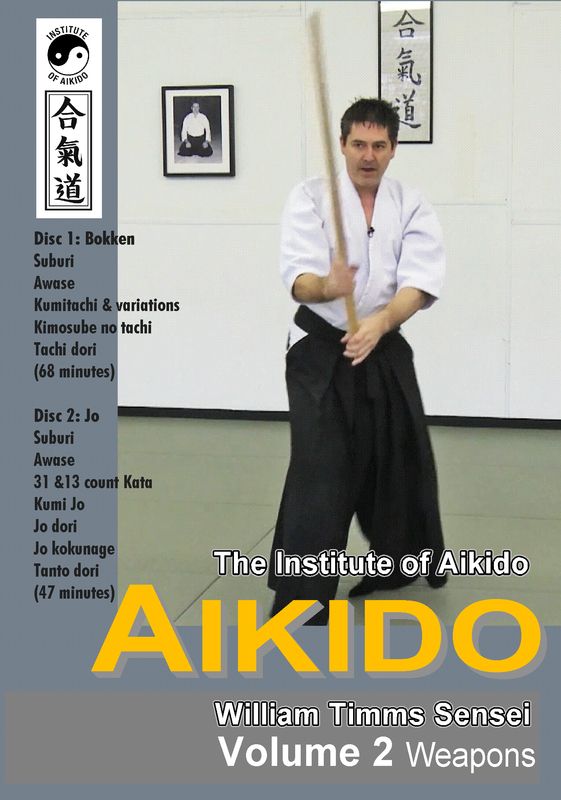 It is the interpretation of Aikido as taught to him by Foster Sensei that William has tried to demonstrate in this DVD. It is hoped that the viewer will gain an insight into the basic syllabus laid down by the IOA, and in turn, will provide an invaluable training aid to Aikidoka of all styles. William would like it known that whilst he has sought to represent the techniques shown in this DVD as an honest recollection of his own interpretations, a student of Aikido should use this only as a guide and not as a replacement for diligent training under qualified supervision. Always seek guidance from your own Sensei. A new dvd completed March 2017 showing all the remaining Forms 9 - 16, in Static, Flexible and Ki no Nagare where applicable. Uke to Sensei Timms is Slough Aikidoka Norman Martin. This is the ideal source of reference for those aikidoka looking towards their 2nd Dan grading.